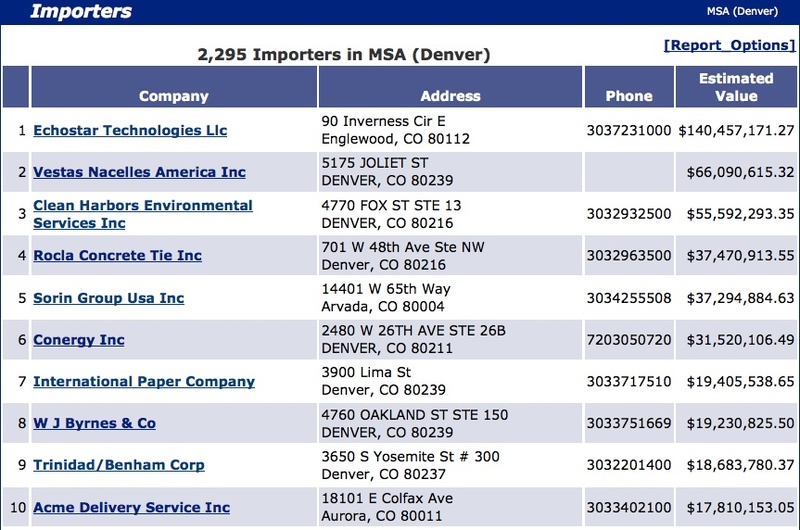 I hardly leave a response, but i did a few searching and wound up here Trade Data Report: MSA- Denver, Colorado. Home to Crocs, Echostar & Trinidad Benham | World Trade Daily. And I do have a questions for you if you usually do not mind. 😛 And, if you are posting at additional online social sites, I’d like to follow everything fresh you have to post. Could you make a list of every one of all your community sites like your Facebook page, twitter feed, or linkedin profile? Thank you so much for providing individuals with a very remarkable opportunity to read articles and blog posts from this web site. It’s usually very fantastic plus full of amusement for me and my office mates to visit your web site particularly 3 times per week to learn the fresh stuff you will have. And indeed, I’m certainly motivated considering the wonderful creative concepts you serve. Certain 4 points on this page are undeniably the most impressive we’ve ever had. Pictures are in fact fastidious source of instruction instead of text, its my familiarity, what would you say?